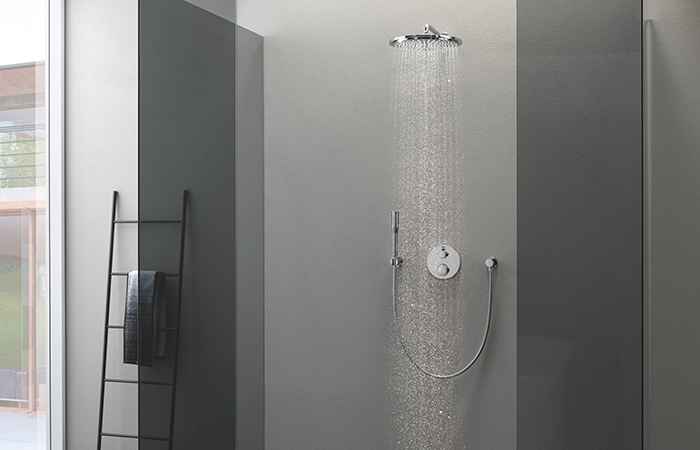 One of the products that will be on display for GROHE at the BCFA Open Dublin is their Rapido Smartbox, a rough-in kit for concealed shower systems. 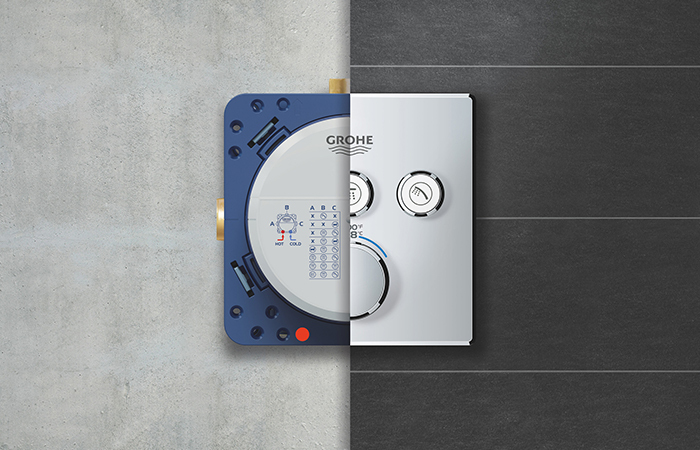 Thanks to the Rapido Smartbox and the vast number of GROHE trim designs it works with, concealed showering is made accessible for all. 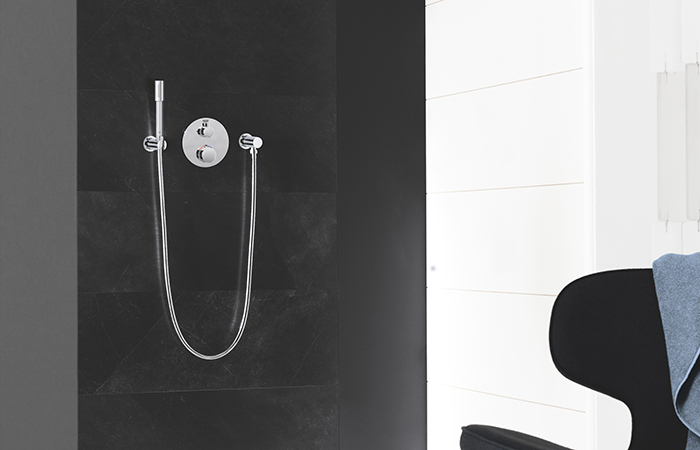 Even the smallest of bathrooms can accommodate such compact and minimalist dimensions whilst the lack of exposed pipework is great for awkwardly shaped spaces where the control set may need to be on an opposing wall to the head shower. How you use your shower will dictate what you require from it. Whether it’s a rejuvenating wake-up call, a hand shower that helps you easily bathe the kids without getting drenched in the process, or the chance for some peace and quiet at the end of the day, the versatility of the Rapido Smartbox can help you specify just that. Plus, when it comes to the look and feel of your space, there’s no need to spend hours searching for the perfect product as all the design possibilities, even down to the smallest details, can be hand-selected to achieve exactly the look you want. The Rapido Smartbox now matches perfectly with three different styles of trim set; two-handle thermostats, single-lever mixers and the SmartControl Concealed, all of which are available in an array of colours, finishes, shapes and sizes. All three styles offer varying functionalities, aesthetics and price points so you can find the perfect fit for your requirements. 3D printing has long been regarded as the manufacturing technology of the future. Components made via 3D printing have set new standards for premium manufacturers in the automotive and aircraft industry. In the sanitary sector, GROHE is now offering GROHE Atrio Icon 3D and GROHE Allure Brilliant Icon 3D, two unique tap designs created using 3D metal-printing. GROHE’s 3D metal-printing process makes virtually any geometry possible and invites us to rediscover materiality. By refining the shapes to their bare essentials, the corrosion-resistant steel used as a raw, and at the same time, highly castable material also comes to the fore in the final product. The reduction of the design and the emphasis on the pure essence of the shapes not only saves valuable resources, but also offers a new interactive experience of water.